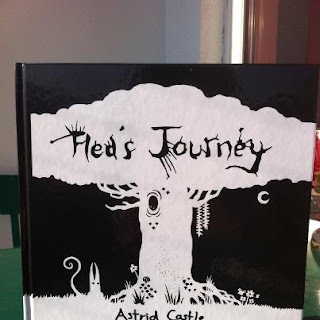 Asti's Art: Flea's Journey is available to buy! Flea's Journey is available to buy! Great news!! My childrens book 'Flea's Journey' is finally available to buy, yaaay! It's hardback, and very pretty indeed :) Why not pick up a copy? For all of this month it's 8.90, bargain! I'm so chuffed to have this book finally published, have wanted it for a long time :) Am hoping to make more, that's be wonderful!